Weapon Rack Storage: How Many Racks Do I Need? 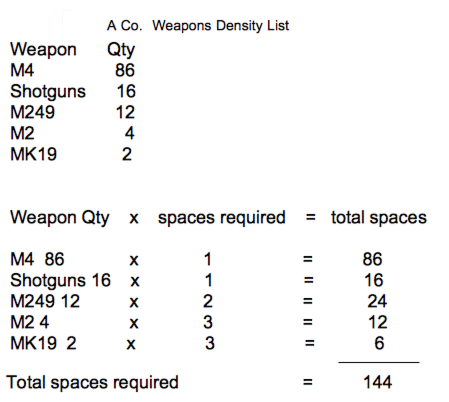 Here we layout a simple formula to estimate to number of weapon cabinets needed for an armory. Send up your weapons and list and we will provide a quote and if requested a layout of the armory showing everything in place. The flexibility of the SecureIt weapon storage platform makes it possible. Using the our 24/24 Rifle & Handgun Cabinet as the base you can quickly build out your armory or add to existing systems. One 24/24 Cabinet can be configured in minutes to store a wide variety of weapons. No additional components are required. So how many weapon racks do you need? Here you will learn how to quickly estimate how many weapon racks are required to complete your armory or weapon storage project. 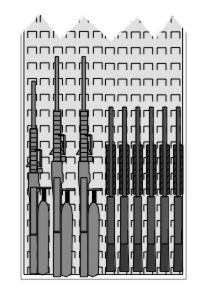 Definitions: A “rifle space” is the space required in the cabinet to hold one (1) rifle. Each cabinet holds 24 rifles. Example: 162 rifles ÷ 24 = 6.75 weapon racks. Always round up, 7 weapon racks will hold all the rifles. 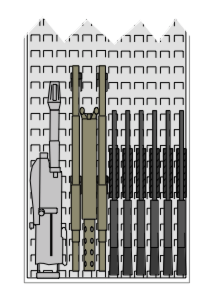 MK19 and M2 rack As you can see in the image below 1 MK19 or 1 M2HB requires the space of 3 rifles. M240 and M249SAW As you can see in the image below 1 M240 or 1 M249 requires the space of 2 rifles. The quantity of each weapon is multiplied by the number of spaces the weapon requires. Example from the previous image: MK19s take up 3 rifle spaces, in this case, two MK19s multiplied by three (spaces required per weapon) equals six spaces. So let’s apply the formula: Total rifle spaces needed ÷ 24 = Total racks needed to a weapons list to get the number of racks needed for this armory. 144 ÷ 24 = 6 You can build this armory with 6 Model 24/24 weapon racks. Handguns The 24/24 cabinet includes 12 storage bins each with a divider. Each bin holds 2 handguns. In the above example, 12 racks were ordered for 144 rifle spaces. These will also include bins for 144 handguns. In most cases, you will have plenty of room for handguns. If your handgun count is more than the total number of rifle spaces required then add a handgun cabinet.